Chapter 3 - How Should We Then Live? 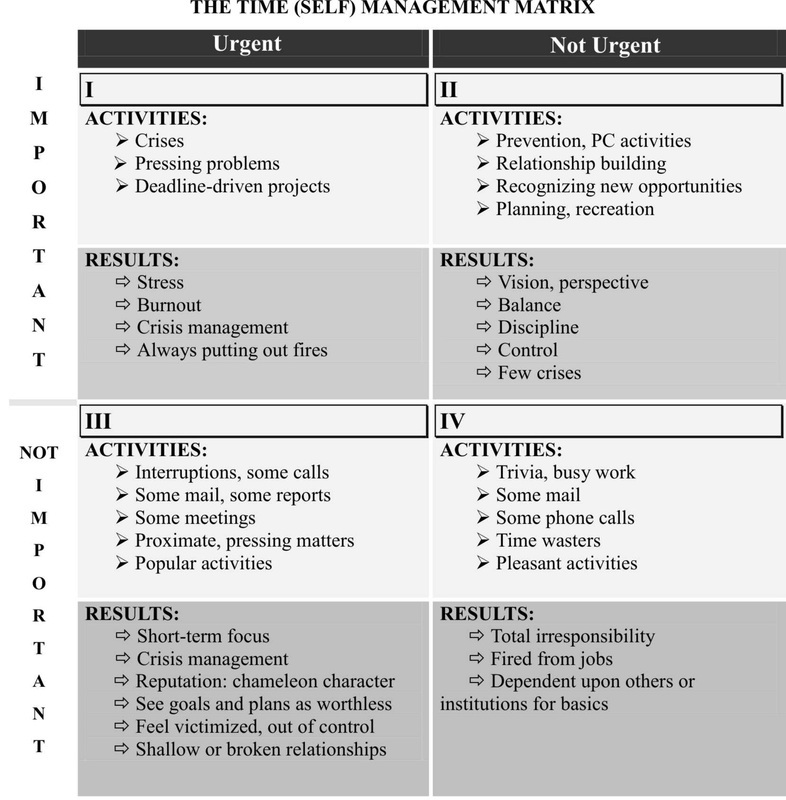 When dealing with the matter of time management, Covey includes the traditional matrix for considering the element of time against importance. However, in elaborating on the matter, he introduces a results concept--there are results that can be associated with each quadrant of the matrix. To provide a consolidated view of both the activities and results, the following matrix has been developed, incorporating both concepts into one table (Covey, 1989, p. 151-154).